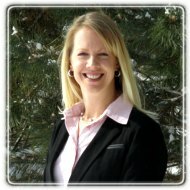 Fort Collins Therapist: Jennifer Meyer - Therapist 80525. Change can be difficult! I will guide and assist you in the change process with your best interests in mind. Using a compassionate, supportive approach to help you identify your needs and find both long-term and short-term solutions, I offer individual, couples, and family therapy with trust and a genuine connection. I work with individuals, couples, families, and children in Northern Colorado. I offer counseling services in both Fort Collins and Windsor. Whatever your needs are at this time, I will strive to provide the tools and support necessary for you to be fulfilled and happy. Call today to discuss your needs and schedule your free consultation.